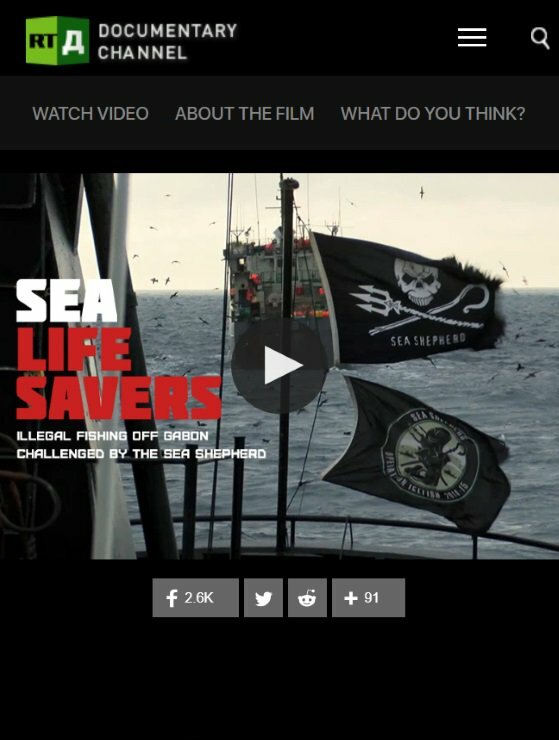 April 21, 2019 - A video report about Sea Shepherd's partnership with the Liberian Ministry of Defense, Operation Sola Stella, for the Deutsche Welle series, Eco Africa. 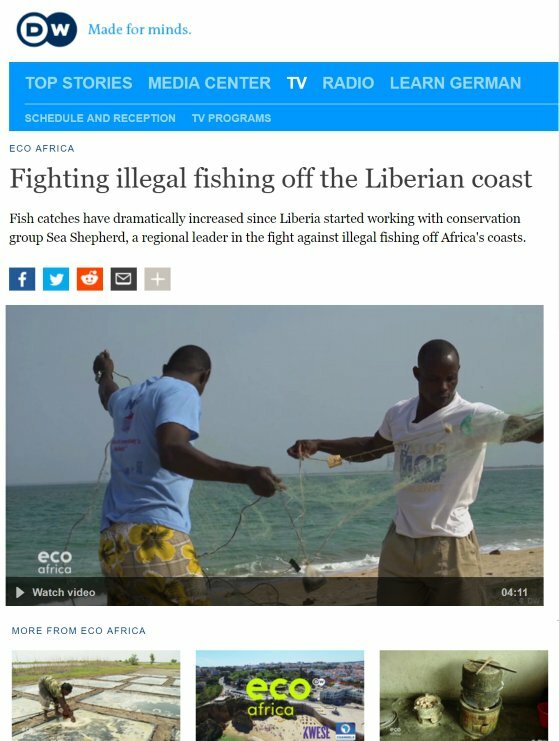 "Fish catches have dramatically increased since Liberia started working with conservation group Sea Shepherd, a regional leader in the fight against illegal fishing off Africa's coasts." Reporting by Aida Grovestins and Dominik von Eisenhart-Rothe. 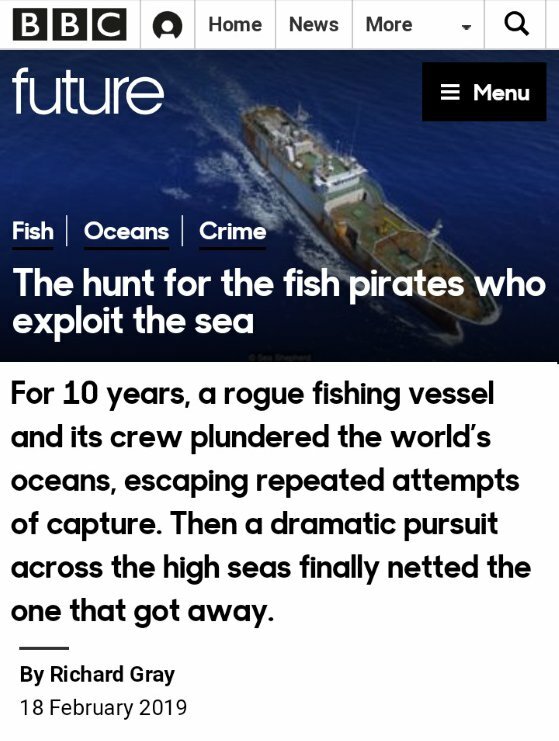 February 18, 2019 - An investigative news story describing the story behind the multi-national coordination of governments and NGOs -- including Sea Shepherd -- that helped track down, chase across several maritime borders, and finally arrest one of the most-wanted poaching vessels on the high seas, the STS-50. 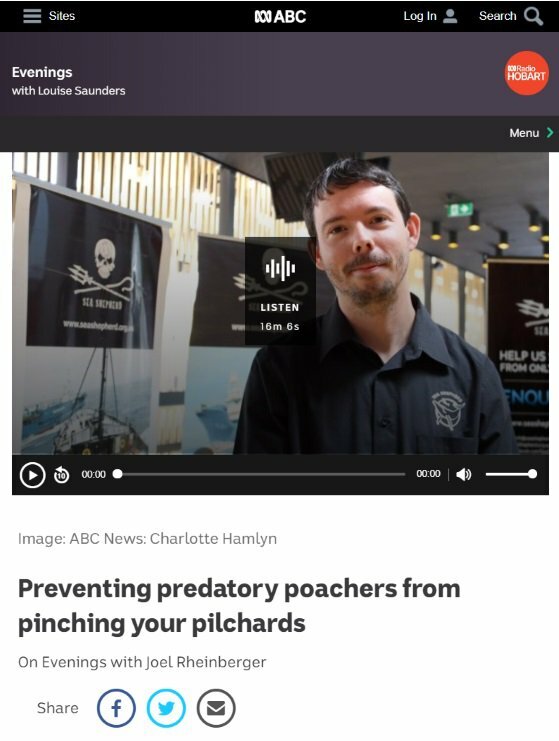 Reporting by Richard Gray, Senior Reporter at the BBC, with drone footage from Sea Shepherd's M/Y Ocean Warrior. 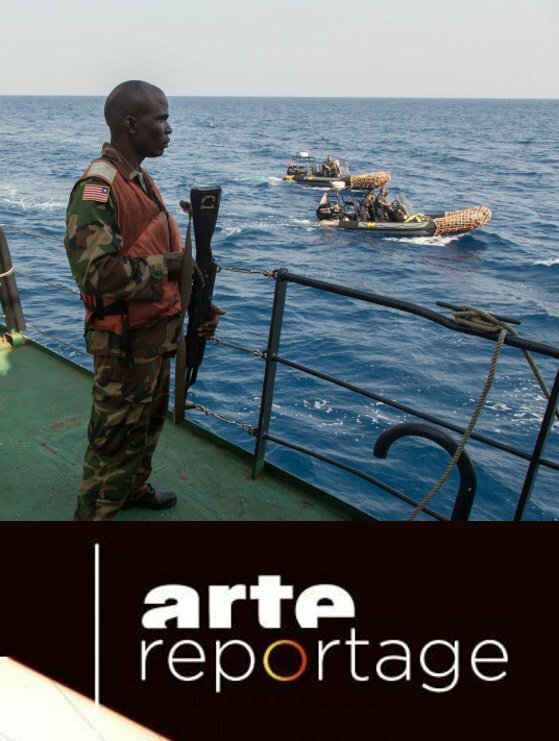 February 8, 2019 - A 24-minutue investigative news documentary about the effects of illegal fishing in West Africa (Senegal and Liberia). Filmed on the M/Y Sam Simon, the second half od the documentary features Sea Shepherd's Operation Sola Stella in Liberia as an example of how partnerships between governments and marine conservationists can successfully fight this problem. It aired on French and German TV in February, and is now available streaming online in French and German, or subtitled in Spanish. 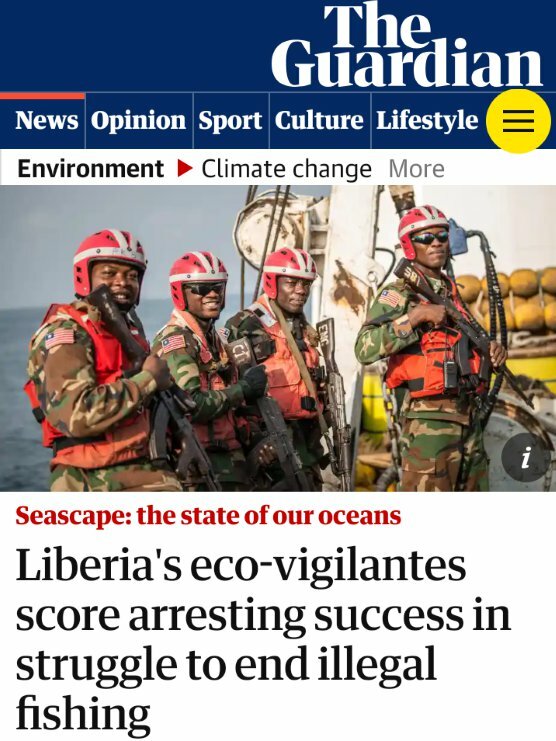 January 28, 2019 - A feature article by Guardian journalist Karen McVeigh about how the West African Republic of Liberia uses Sea Shepherd's assistance to patrol its waters and combat illegal fishing in their sovereign waters for Operation Sola Stella. This article is part of The Guardian's series, Seascape: The State of our Oceans. Off Tanzania, in one of the world’s richest seas, why is the catch getting smaller? 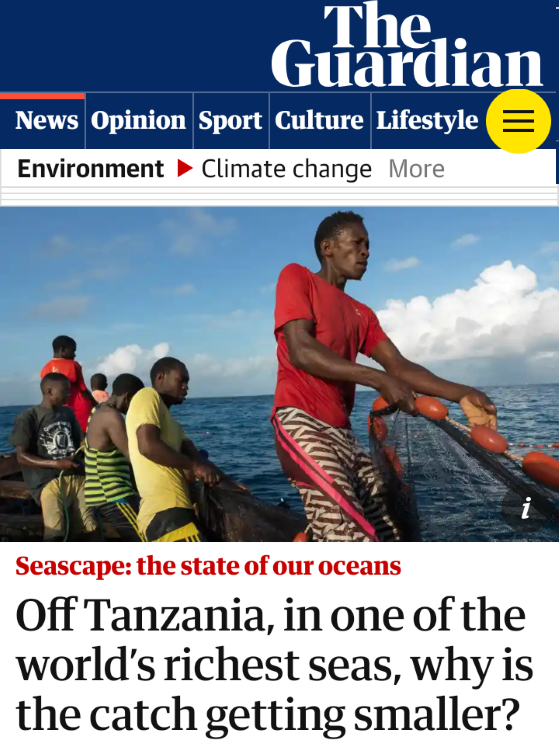 September 15, 2018 - A feature article by Guardian journalist John Vidal about how Sea Shepherd is now assisting Tanzanian government agencies in patrolling the Indian Ocean onboard the M/V Ocean Warrior to stop illegal fishing activities that are wiping out fish populations. This article is part of The Guardian's series, Seascape: The State of our Oceans. September 4, 2018 - Sea Shepherd Director of Campaigns, Captain Peter Hammarstedt, talks to Joel Rheinberger of ABC Radio Hobart in Tasmania (Australia) about his life on board the M/V Bob Barker, and how Sea Shepherd has been cooperating with African governments to help stop illegal fishing in their oceans (recording 16min 6sec). September 22, 2017 - A documentary in English (also available in French) about Sea Shepherd's Operation Albacore on board the M/V Bob Barker, working in partnership with the Gabonese military and government agencies to stop illegal fishing off the coast of West Africa (49mins). 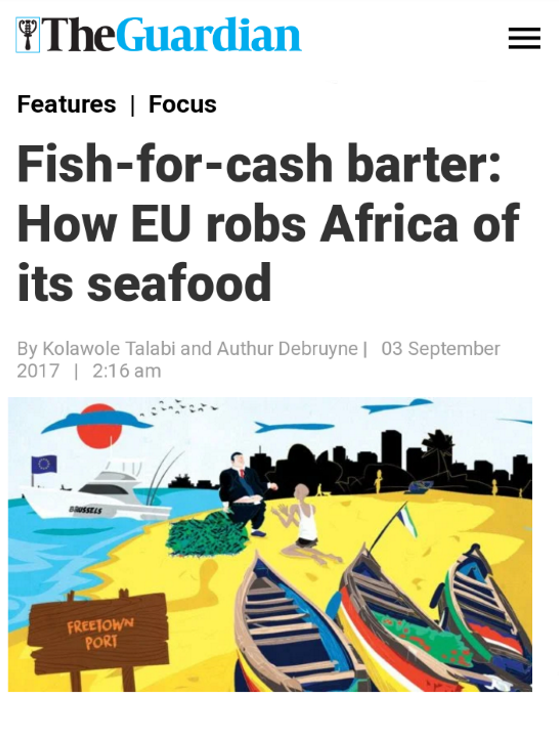 September 3, 2017 -- A feature article by Kolawole Talabi and Authur Debruyne about how EU fisheries agreements leave West Africa's waters open to overfishing, including an example from Sea Shepherd's Operation Albacore, a campaign in partnership with the governments of Gabon and Sao Tomé and Principe on board the M/V Bob Barker. 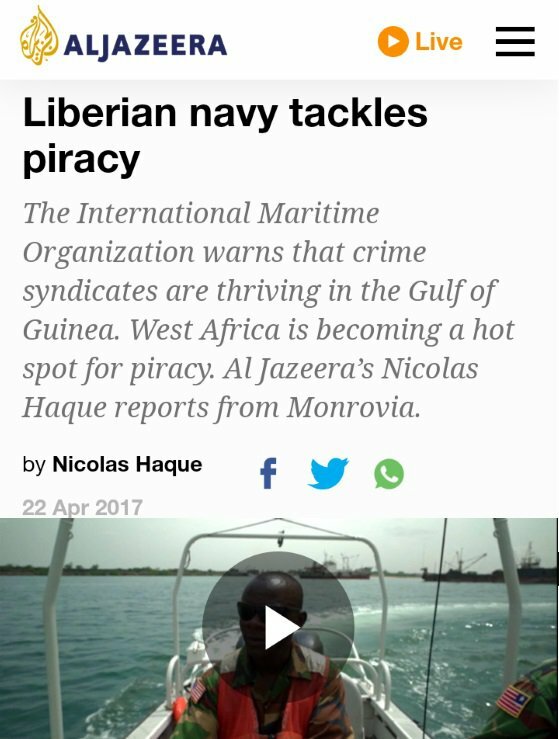 April 22, 2017 -- Al Jazeera’s Nicolas Haque reports from Monrovia about the International Maritime Organization's warning that crime syndicates committing illegal fishing crimes are thriving in the Gulf of Guinea, and how the Liberian military is fighting back with assistance from Sea Shepherd's civilian off-shore patrol vessel, the M/V Sam Simon (2mins, 33sec). For press inquiries or interviews about Sea Shepherd Global's campaigns combatting illegal fishing, contact Sea Shepherd Global Media Director, Heather Stimmler by email (heather@seashepherdglobal.org) or telephone (GMT+1): +339 7719 7742.